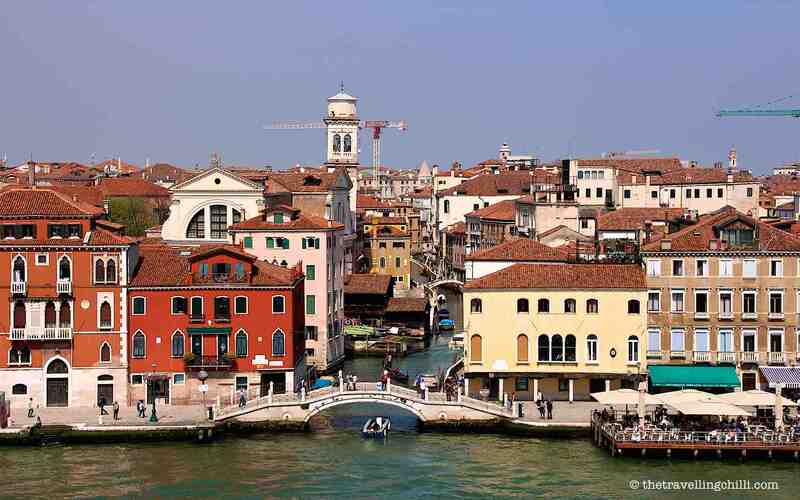 Venice is without doubt one of the most fascinating cities in Europe. The Italian city is located in the Venetian lagoon and consists out of 117 tiny islands separated with small waterways and connected by bridges, which gives Venice its unique and enchanting look. Venice is the perfect spot for romantic souls wandering through the small cosy alleys inhaling the freshness of the old Venetian culture. On average, the city gets around 60.000 visitors per day, which is in fact the same number of local residents in the historic city centre. 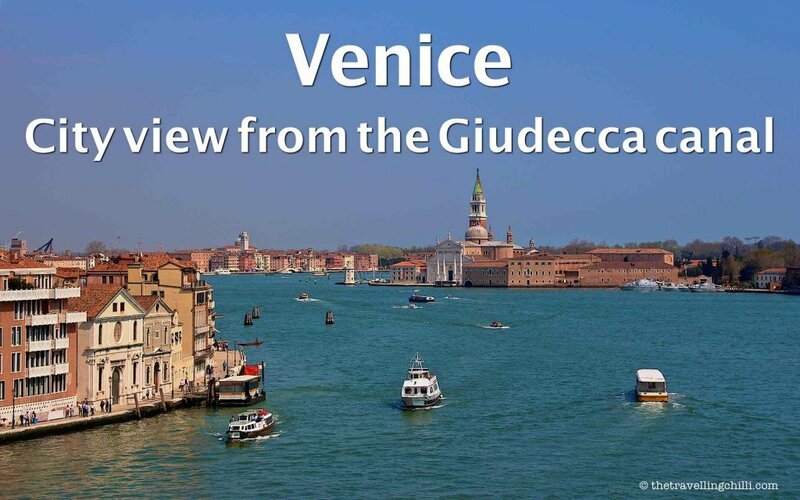 As Venice is one of the more popular European cruise destinations and a major port of call, most of these visitors will come off the cruise ships. For this reason, it is always busy in Venice. There is hardly any low season. 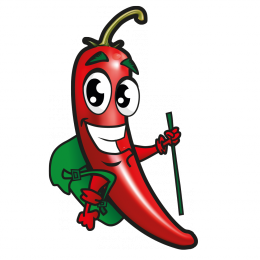 Although one can say that during the summer months it is even more busy and crowded. Especially when trying to walk from the port / train station area to St. Marks square, there can be so many people that you almost feel like being part of a caterpillar curving its way through the narrow streets. The advantage is that you won’t get easily lost, just follow the crowd who will eventually all make their way to St. Marks square via the Rialto bridge. Venice is definitely a city that has to be experienced through the cozy streets, quirky bridges, beautiful facades and a large amount of art behind every corner, no matter how busy it is. 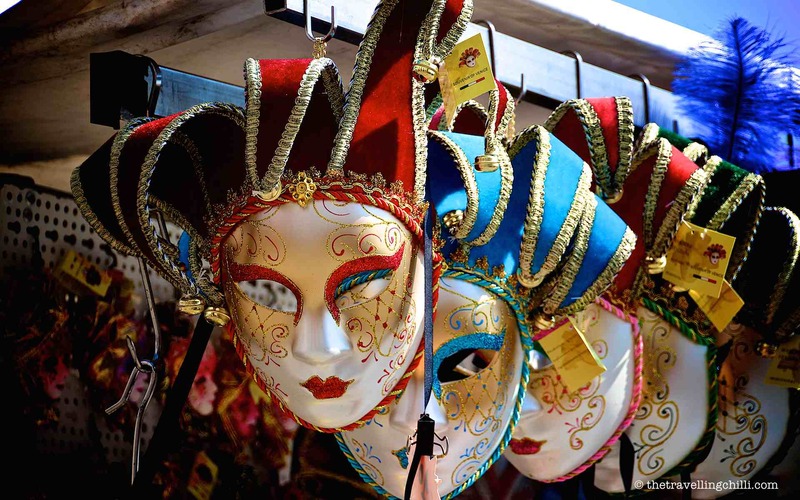 On the other hand, if you follow the crowds you might miss out on seeing the alternate beauty of the city and the experience of the many other things to do in Venice. We decided to go around the city centre instead of through the middle. You walk along the sea and the more residential areas giving you an insiders view of daily life of the Venetian people. Later, when the crowds are all spread out, go and discover the city centre and you will enjoy your trip so much more. Venice is literally slowly sinking due to various reasons. The city is listed on the UNESCO heritage list. They claim that large cruise ships are damaging the fragile city even more by sailing too close and measures should be taken. This being said, there is a huge discussion going on about banning large cruise vessels from the historic city centre. 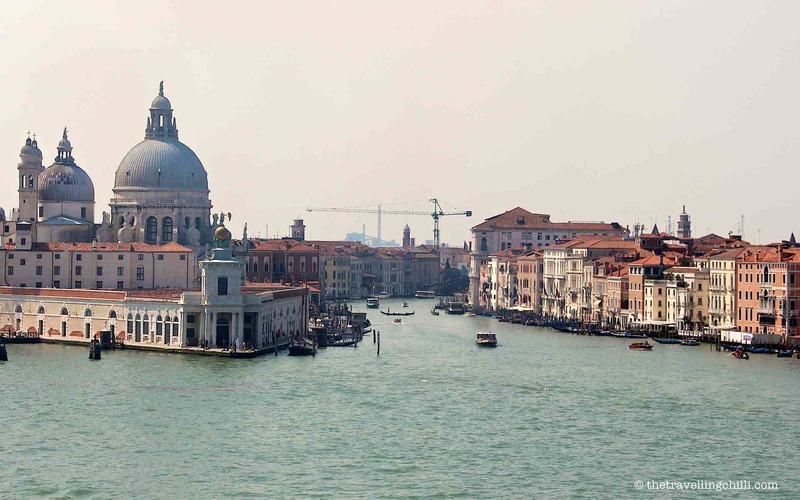 An alternative route would have to be used in order to still get the tourists to Venice. This discussion is still ongoing to date. Environmentally and for the sake of Venice itself it’s probably a good idea to ban large vessels, but in the meantime it is still a nice way of seeing Venice from a different angle, high up on the boat, overlooking this grand city. Last year, we decided to go from Italy to Greece by ferry. There are a few ports to take the ferry along the italian coast. 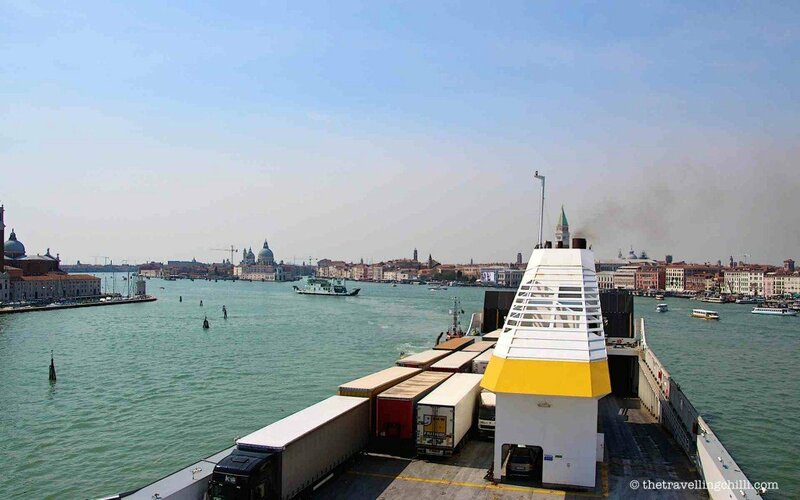 Not many ferry companies leave from Venice anymore. But since we wanted to visit the city, we decided to take the ferry as well from there and enjoy the 1 hour sail passing the historic city centre. The ferry boats are not as large as cruise ships, but might be banned as well in the future. After 2 days of strolling through the narrow streets and soaking up the true beauty of the inner historic city centre and its daily life, we boarded the ferry boat of the company Anek for a 26 hour trip to Greece. It took about an hour to leave Venice through the Giudecca canal and it was an amazing experience. While slowly passing by you get a good panorama of the entire city from high up. 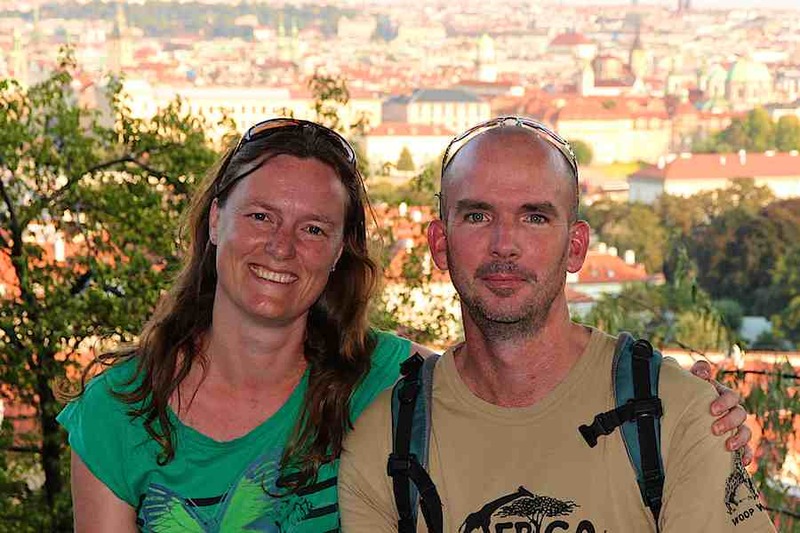 The view reveals a spectacular amount of churches (they say over 100 in the main city and the islands around), the diverse architectural style (gothic with byzantine and ottoman influences) and the gondolas and other water taxis on the various waterways. It actually also reveals an amazing amount of cranes, meaning a lot of renovation is currently being done to the city. From the boat you see how grand Venice really is, how special, how different from most other cities. 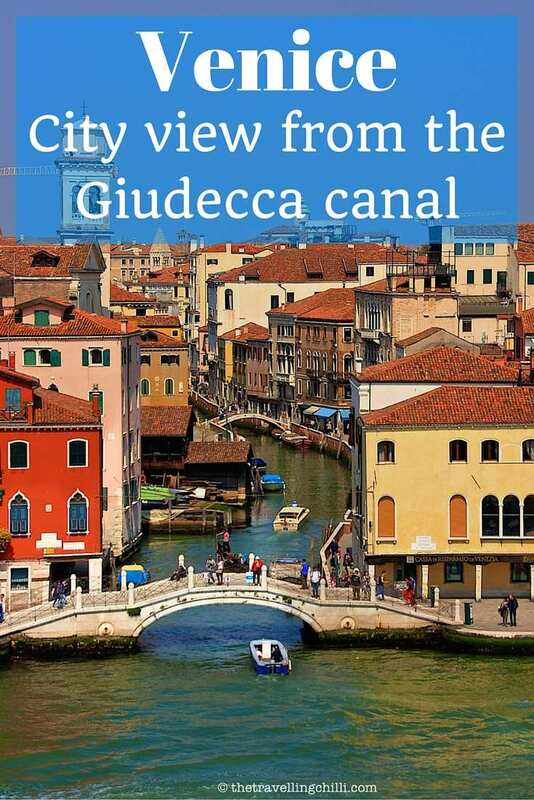 We were so glad we got the opportunity to get a city view from the Giudecca canal as well. The perspective is definitely different and worthwhile. It’s also more relaxed as you don’t get sucked into the hustle and the bustle of the city but you feel like standing on top of it all. 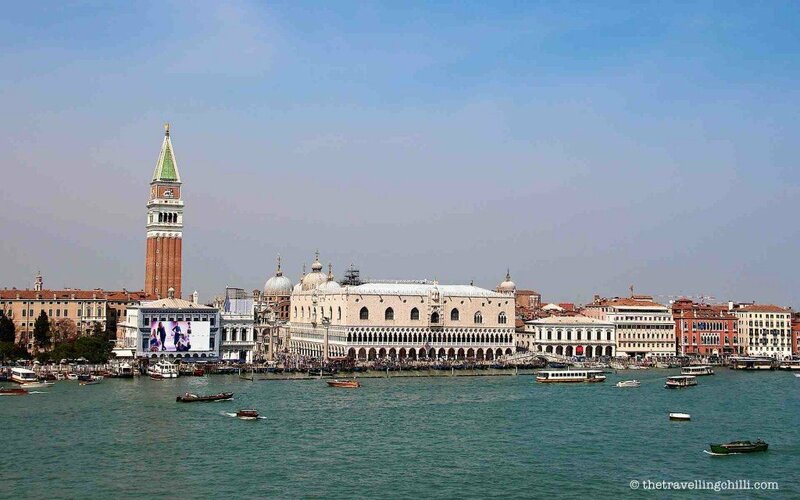 The St. Marks square and the Doge’s Palace are slowly passing by and the boat makes its way out of this gorgeous city. Just beautiful. It takes an hour, but it passes so fast, as you don’t know where to look first, left, right, back, forth, and left again. And before we realised, we were already out in the open sea on our way to Greece still savouring the enchanting beauty of what we just saw. 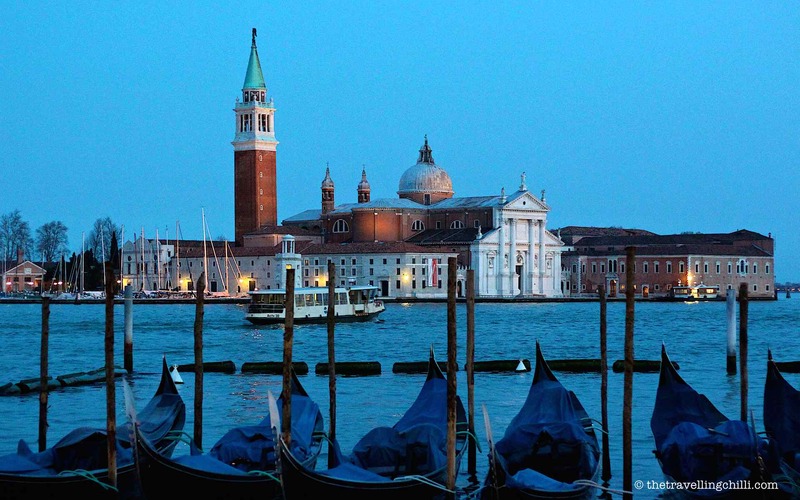 Have you visited Venice? How was your trip? Did you see the city from a different view? Share you stories with us! Love Venice and I agree about banning large ships – they are too much for the city! We loved our trip to Venice and are always ready to go back and see it from a different angle. Loved your post and pics are amazing. 🙂 Sharing on twitter! I’m going to Venice for the first time here in the Summer. And I can imagine that there’ll be a lot of people there, but I just really need to experience the city with my own eyes. It’s probably a good idea to ban large ships, if they’re doing so much damange. I’ve heard from people who have visited that Venice is a bit of a love/hate destination, and I’d love to decide for myself. Thanks for including so much info, I didn’t realise the population doubles due to tourism! Lovely post 🙂 Yes, I visited Venice in the summer. It was a unique city and I’m glad I had the chance to visit it. 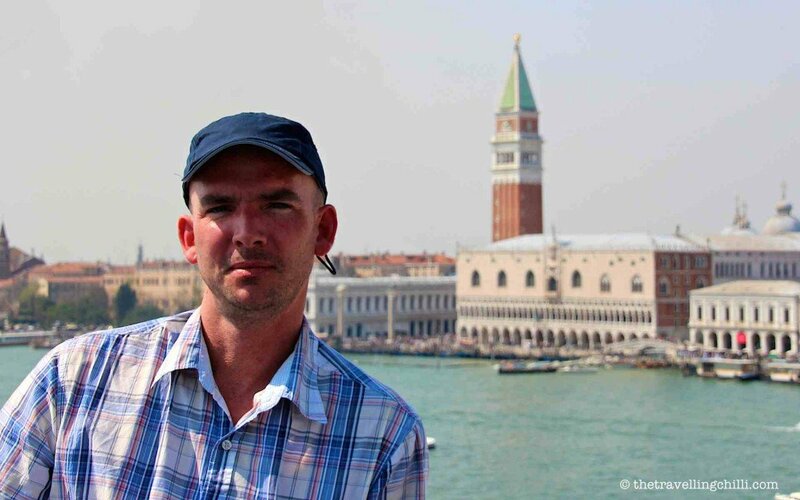 It is said that in less than 30 year it will disappear :-s.
Great post Sabine, I never get tired of reading about Venice and you have some great points about where to visit! PS the sooner cruise ships are banned for good from the lagoon, the better! I have been to Rome and Florence but never made it to Venice. Beautiful photos and tour. When I look at your photos and recall standing in front of the Doge’s Palace when the Costa Fortuna sailed past, I cannot help but compare the few story high buildings to the 15+ story height of the cruise ship. Luckily we were not cruising the canal on one of these 15+ story cruise ships. The city would have looked very small on top of those 🙂 We were cruising the canal on a much smaller ferry ship on our way out to Greece. It still gives you a nice connection with the city even though you are higher up than a gondola.